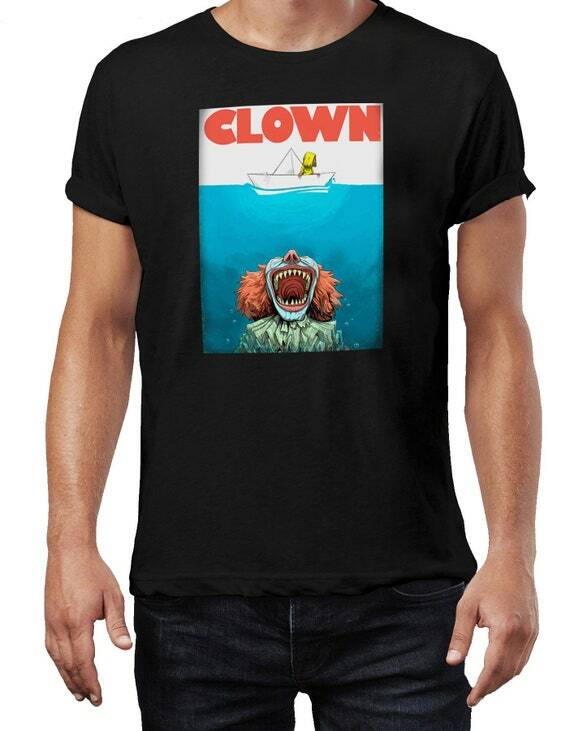 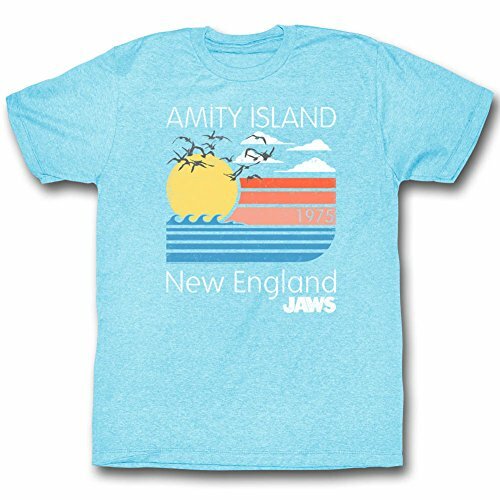 Just when you thought it was safe to go back into the water, along comes someone wearing a Jaws T-shirt! 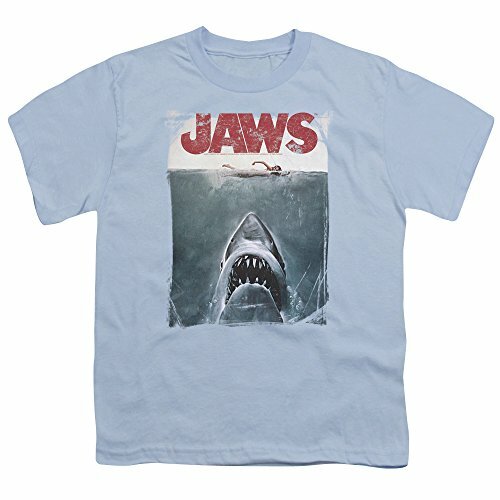 If you're as old as I am, then you may remember watching the first movie back in the 70s. 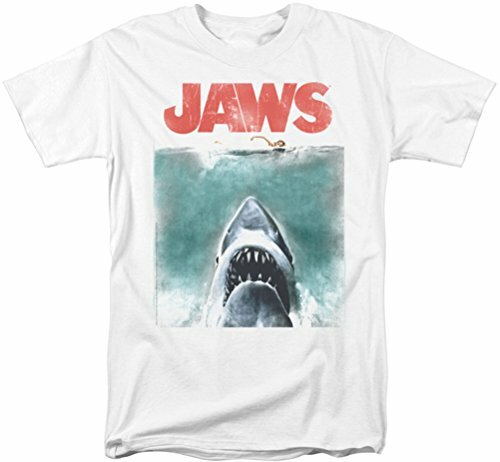 The Steven Spielberg classic had everyone on the edge of their seats, firmly gripping the arm rests for their dear life! 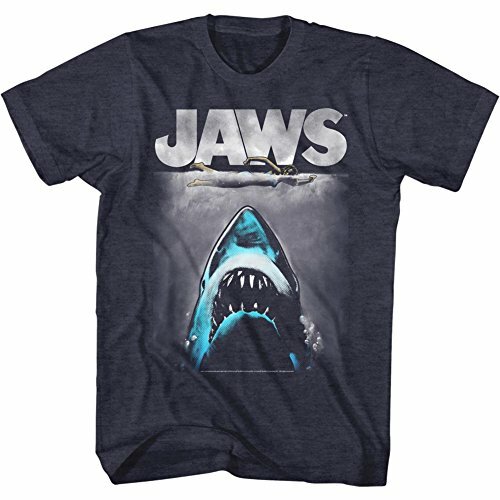 Everyone recognises that very effective suspense music by John Williams. 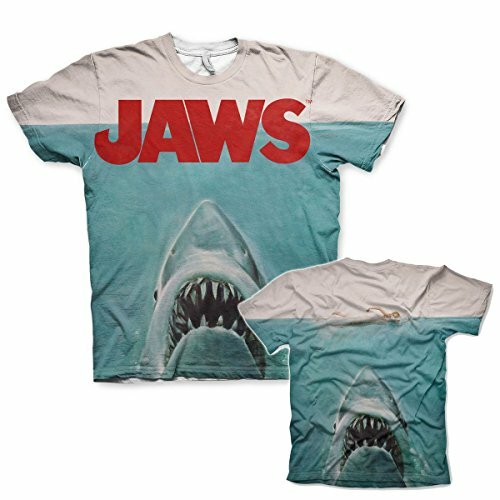 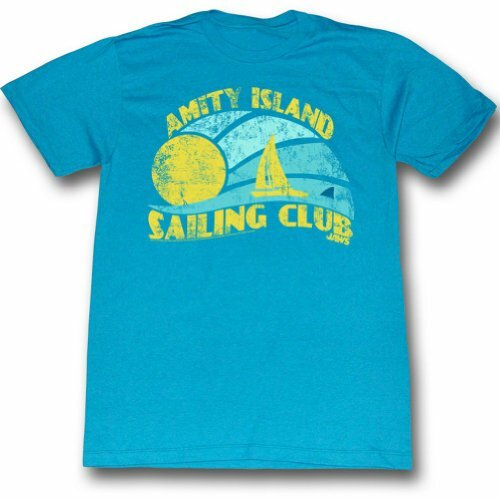 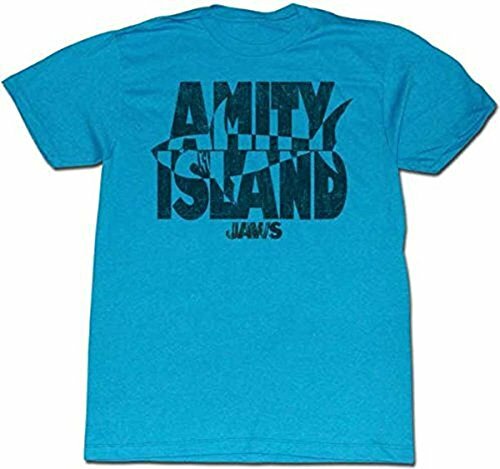 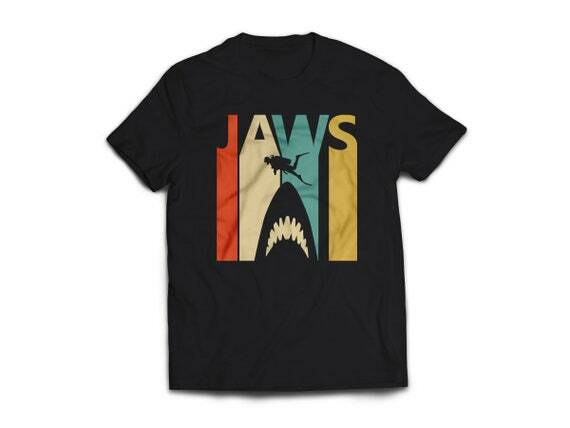 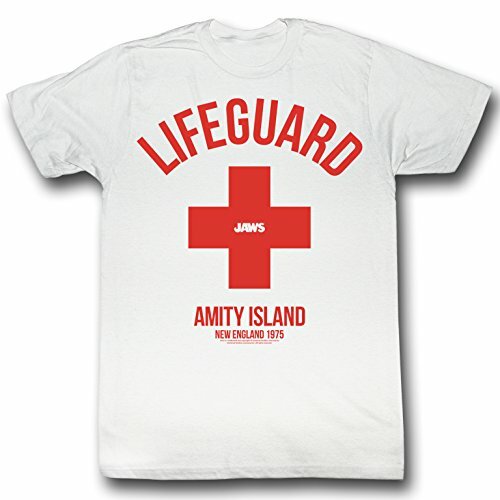 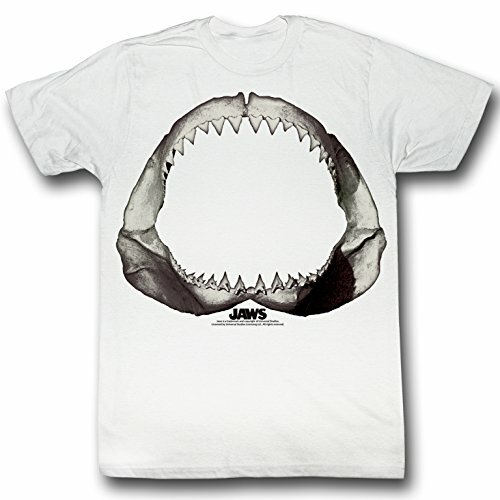 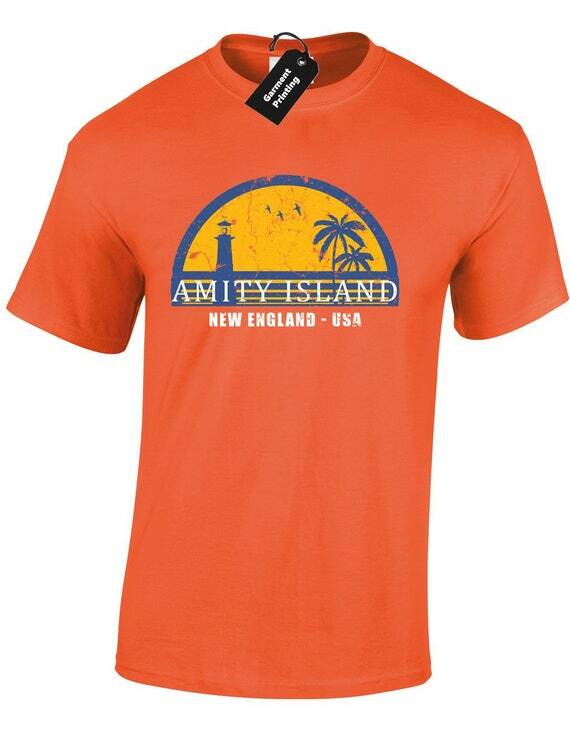 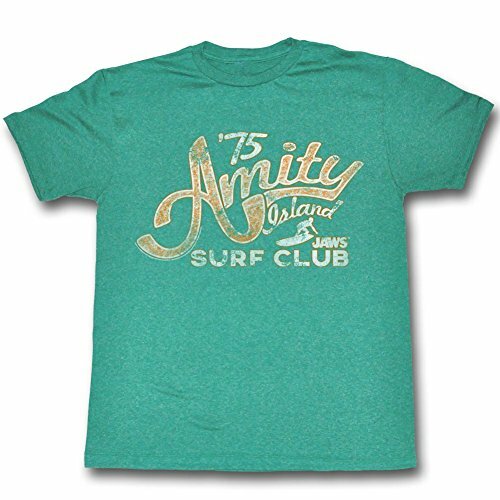 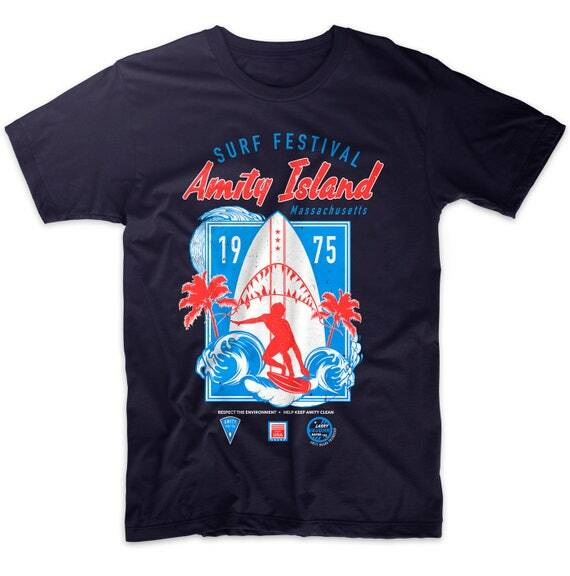 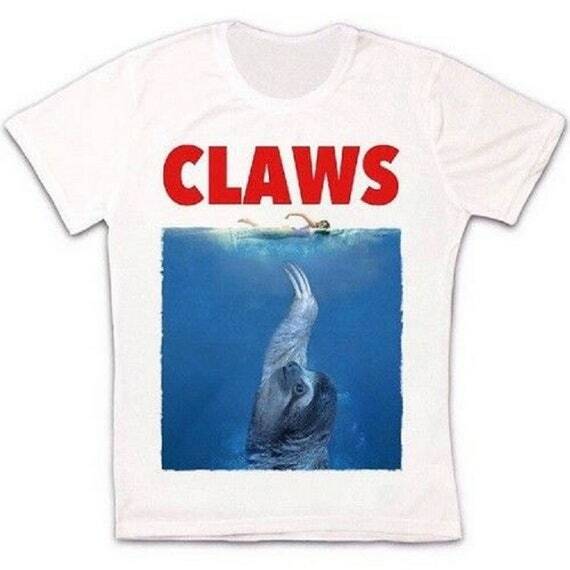 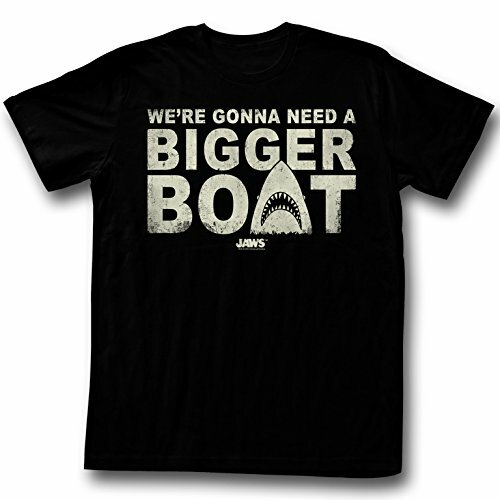 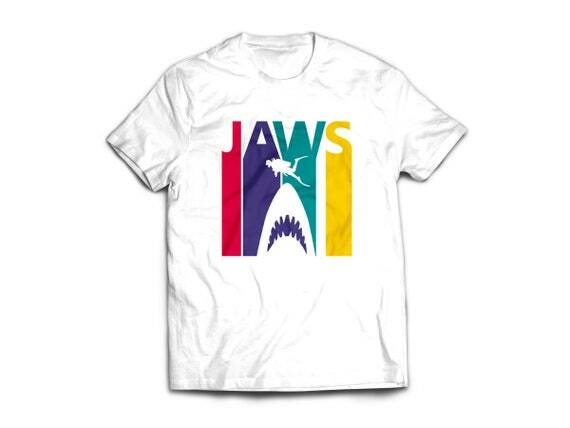 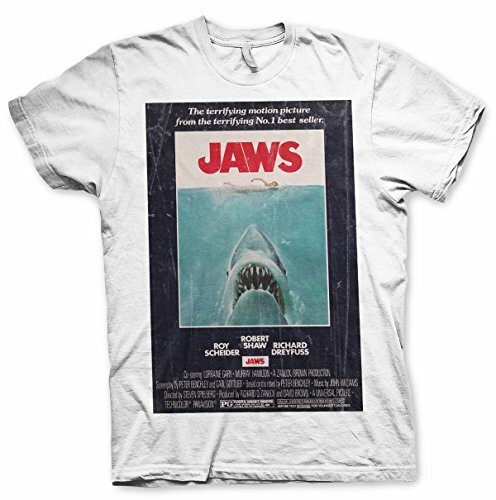 Jaws is a true classic, and you can celebrate the film with one of many stylish T-shirts. 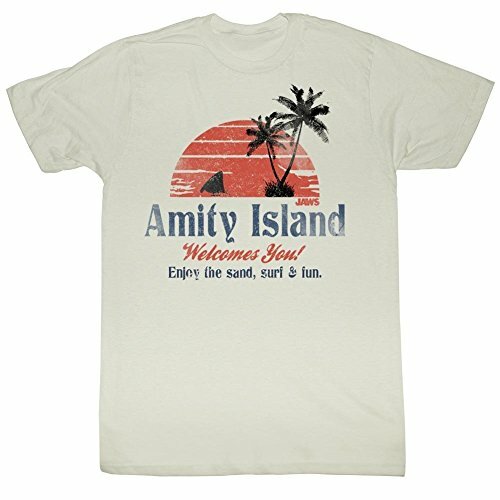 Simplyeighties.com is a participant in the Amazon EU Associates, ebay and Etsy affiliate Programmes. 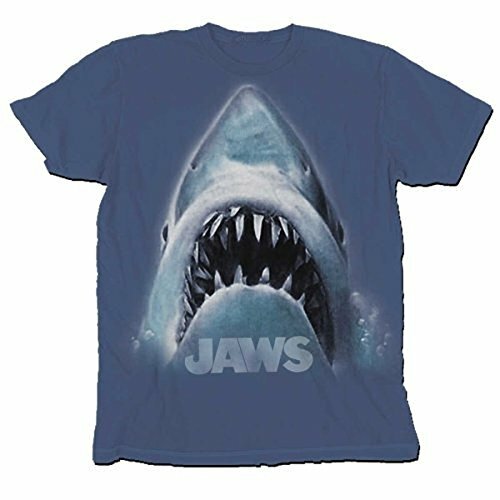 These are designed to provide a means for sites to earn advertising fees by linking to items on their websites. 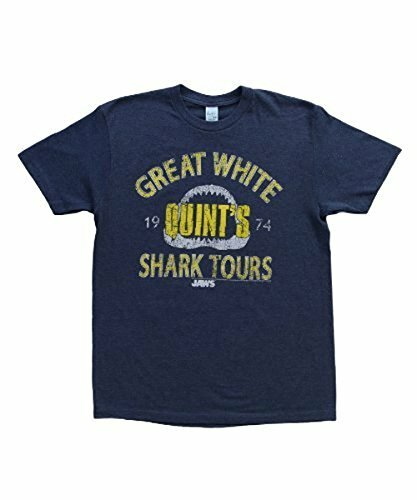 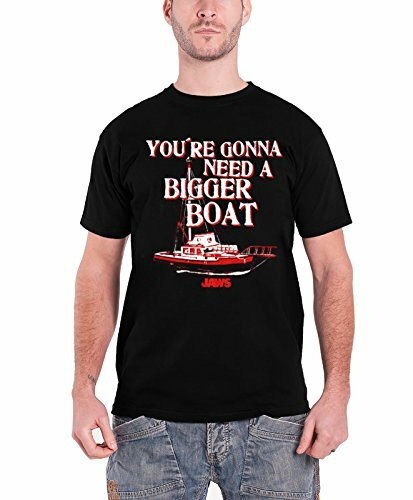 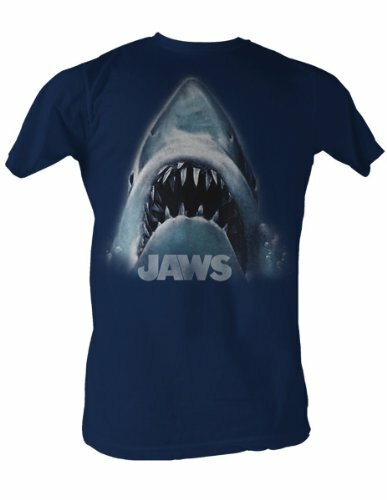 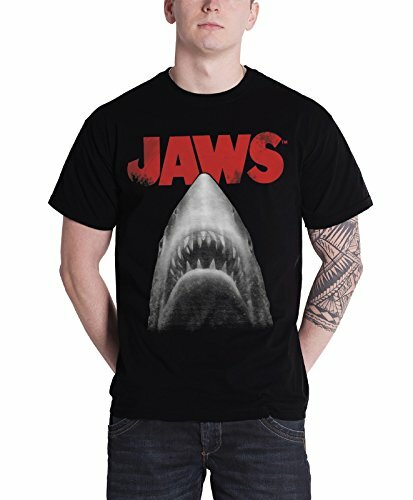 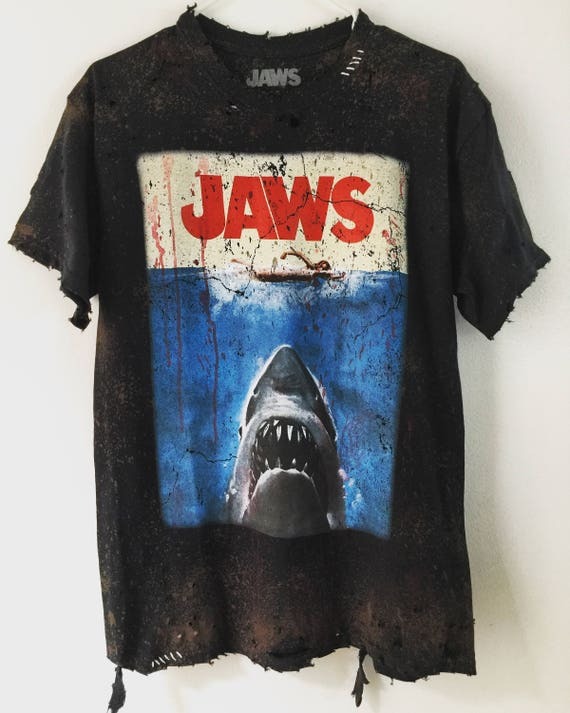 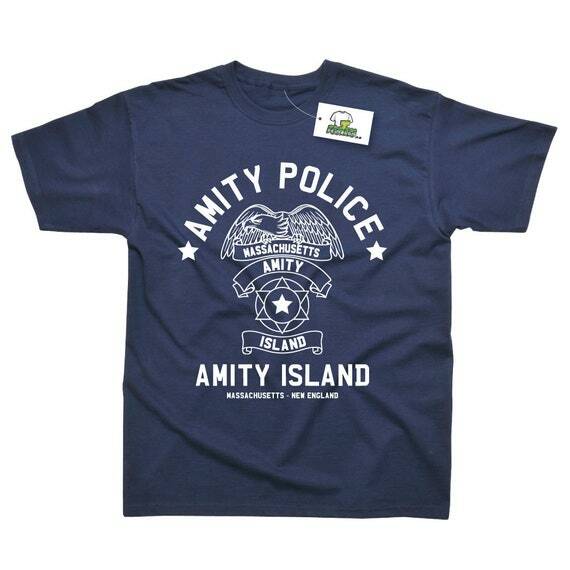 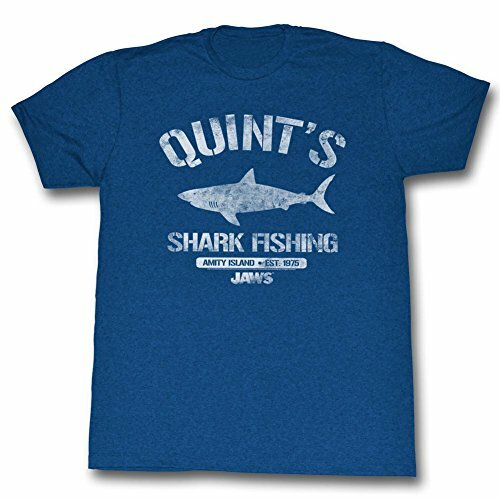 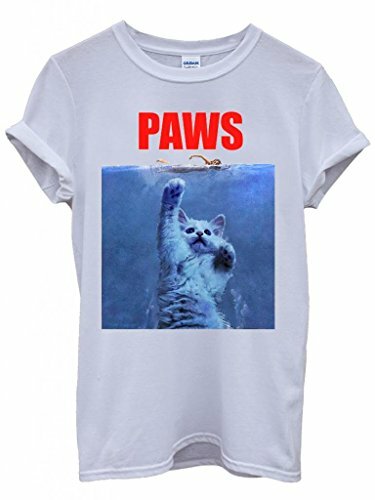 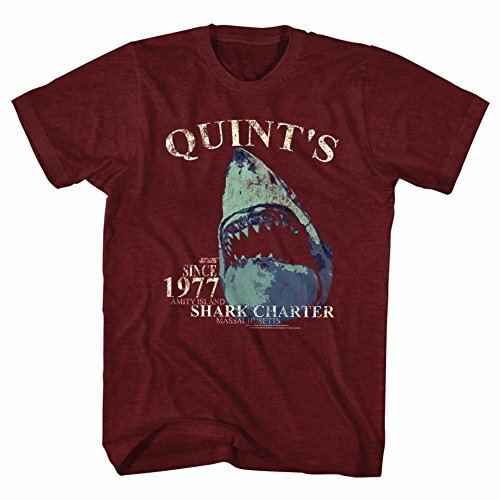 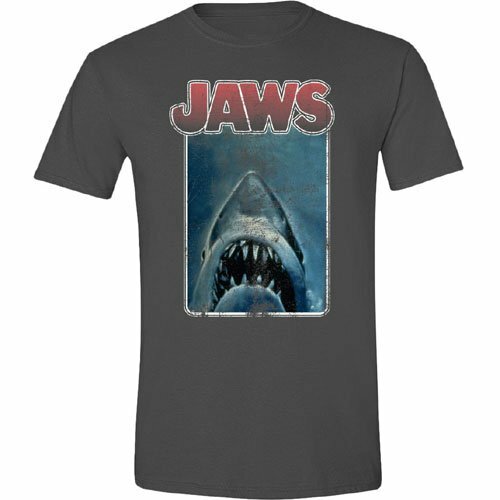 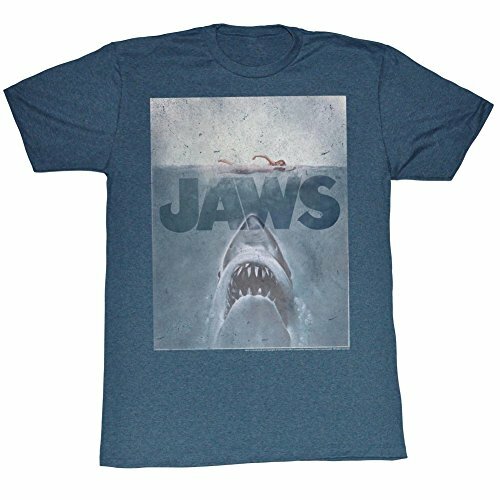 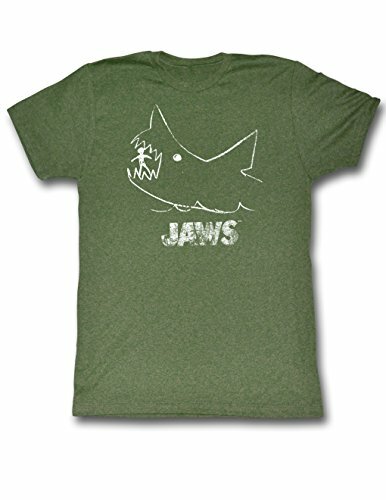 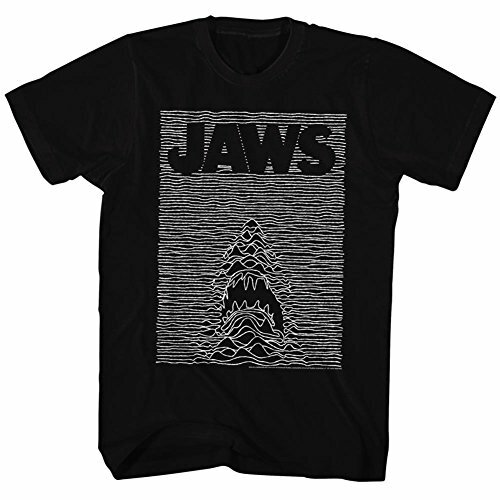 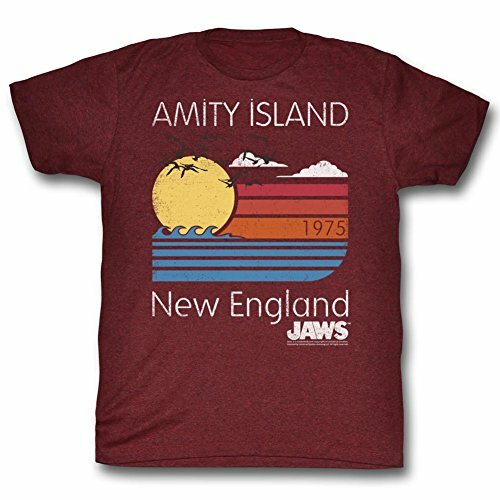 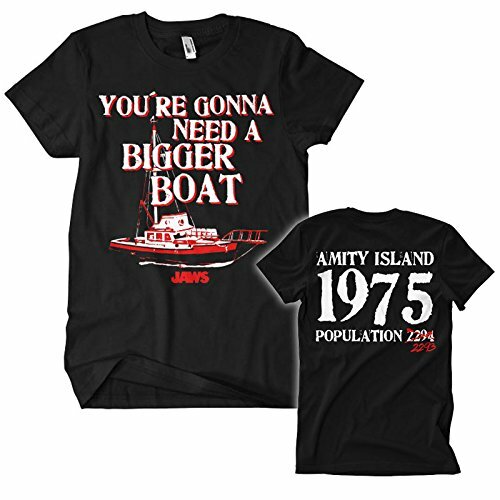 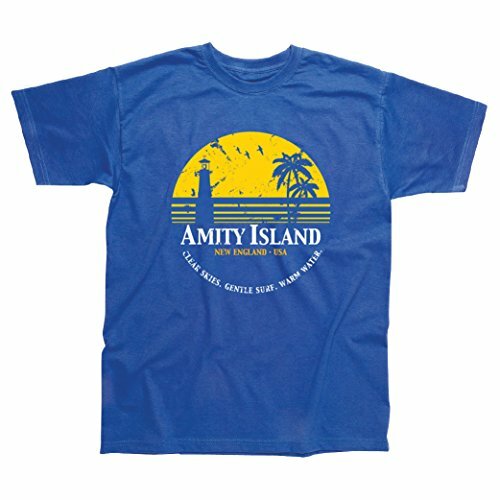 If you're looking for something original and quirky, then we recommend Redbubble.com and Etsy, who have an interesting range of Jaws themed T-shirts.